We found many interesting pieces at the International Contemporary Furniture Fair held in New York City. The featured trend was eco-friendly products which is what drew our interest. We were able to scope out the hottest new lighting designs, outdoor furniture, upholstery, wallpaper and more. Adaptive reuse was a powerful theme and we found a few worthy of Designer's Best Picks. This wall art by York Wallcoverings is a great example of innovative design meets inventive reuse. 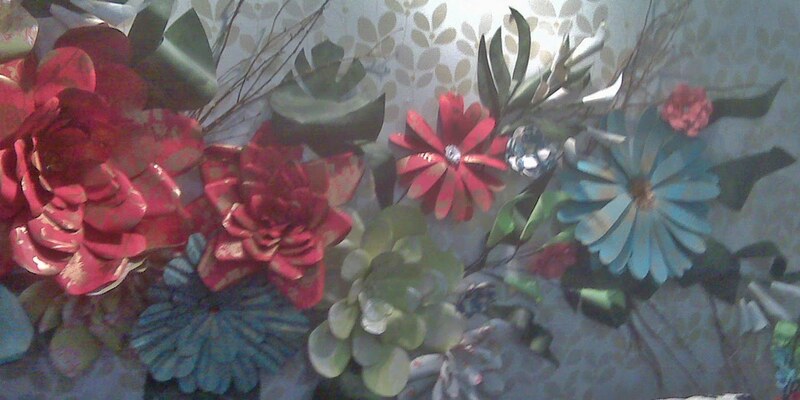 These beautiful flowers are made of wallpaper scraps that are cut up and stapled together. We are inspired by the idea and plan to use discontinued wallpaper books to create a unique piece of our own. What a great use of making an every day object artistic, beautiful and completely useful in a whole new way. 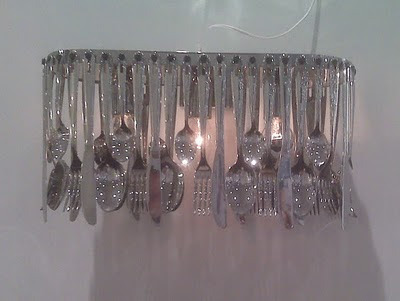 These spoons, knives and forks make a leap from the dinner table to a gorgeous wall sconce. 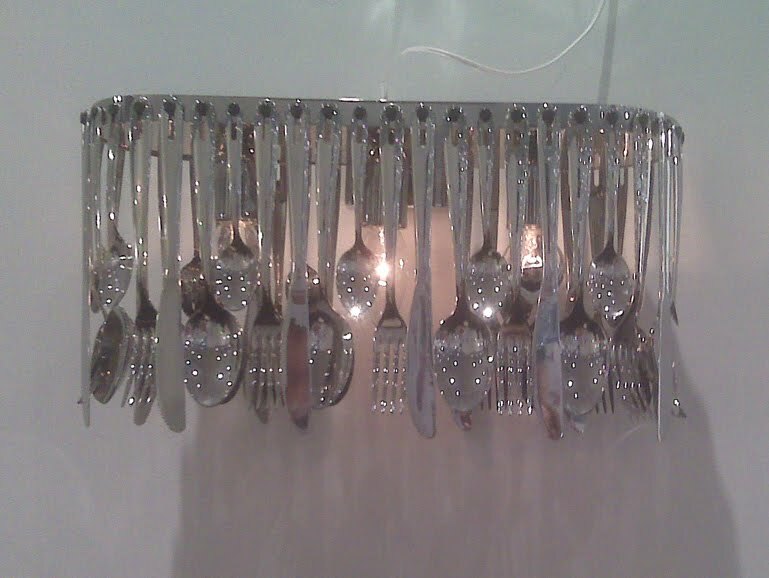 With three different choices of lighting options, including LED, this piece makes it easy to dine in style! 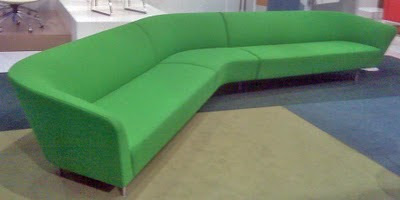 The vibrant color and sleek lines of this sectional make a statement in any room. Combine the beautiful piece with its eco-friendly materials and it surely is easy to go green!